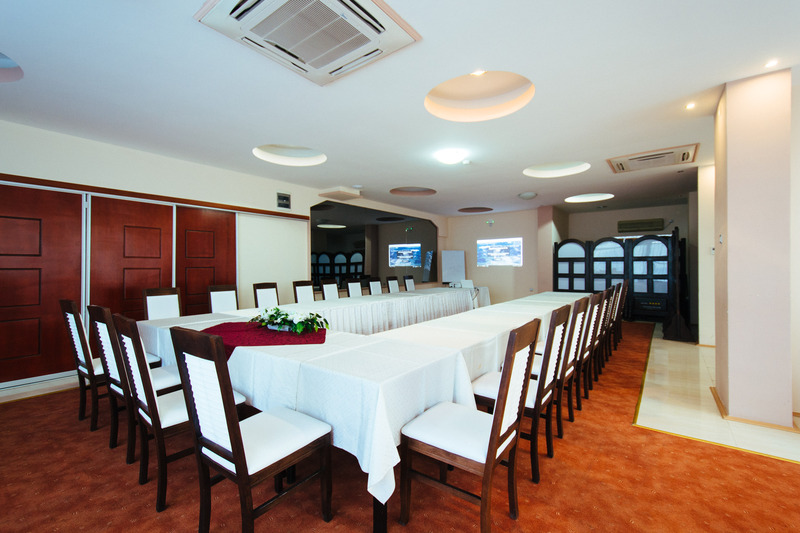 Small and warm meeting room with for your smaller groups. 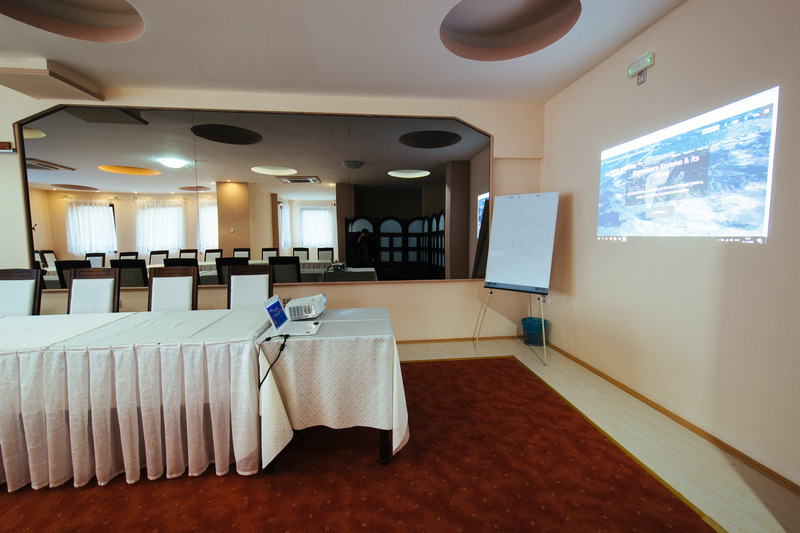 This small meeting room can comfortably fit up to 30 people in most seating arrangements, or up to 40 people in cinema mode. It is good enough for groups starting from 15 people. We have smaller private areas for smaller groups. The small pockets of the room make it a very good place for work in very small groups. There is also a part of this room that can be covered with panels, large enough to store a lot of office materials, or even equipment and booth for live translation. It can be a full small conference facility in an instant. This small meeting room can also be reserved at a moment notice. It has a strong heating system and it can be heated quite quickly for usage. Our modern heating system allows you to set any temperature your guests like. During summer there is no need for air conditioning, which is true for the entire hotel, due to the favorable cool position. This room is covered by Wi-Fi connection. There is separate Access Point in the room itself so as not to get interference from other restaurant guests. This room has no option for wired ethernet connection, but can be easily upgraded to an AC Wi-Fi if you need to have some live streaming event. 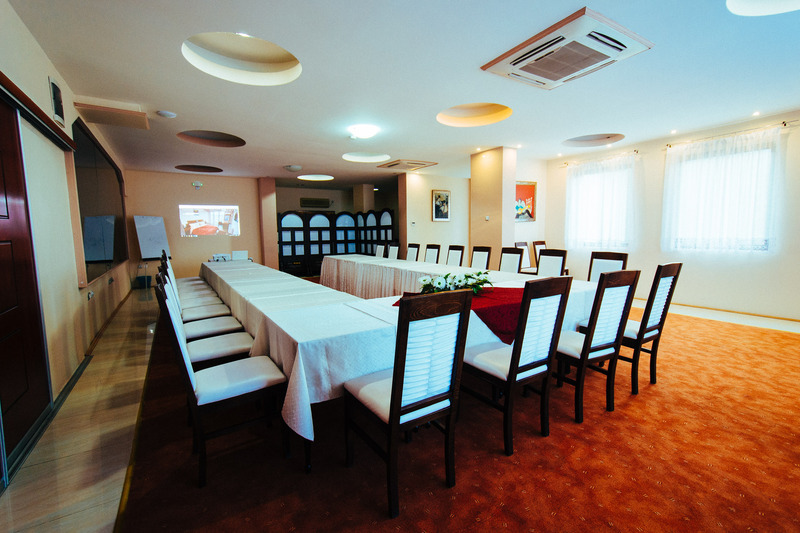 This small meeting room will give you ample space for team activities that require a lot of concentration. It is ideal for smaller teams. This small meeting room is quiet enough for your small group. Most of the time there is no need for additional sound systems. You can have groups of up to 40 participants, but we recommend use of this room for up to 30 people. Meet with your colleagues to discuss matters in a private and quiet area. We can make sure that you have all the coffee and food you might need. Being close to the restaurant we can easily provide you with all the food and drinks you might need for a small private party in this small meeting room.